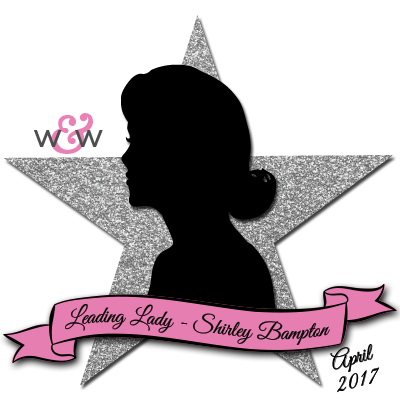 It's Tuesday so it's Inspiration Day over at STAMPlorations. I've used the same technique that I used on this tag, but this time I've used white paint on kraft. The stencil is ARTplorations Holly Background and the sentiment comes from Oh, Christmas Tree! 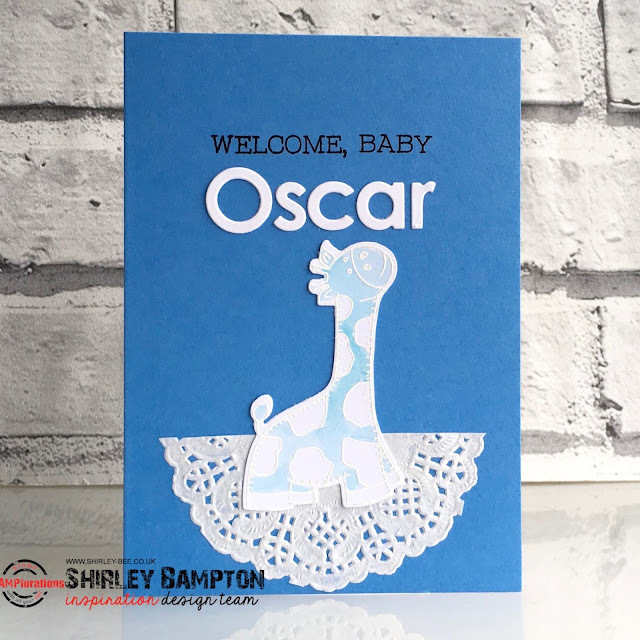 It's Inspiration Tuesday over at STAMPlorations, and I've got a baby card for you. These cute images from Deepti's Tweet Love set with the matching Tweet Love dies are perfect for baby cards. I stamped it in Versamark and heat-embossed in white, then sloshed some blue Distress Ink on. The sentiment is from Shery's Heaven Sent, then I just personalised it with some die cut letters and half a doily. Time for a new challenge at Seize The Birthday, and this time it's Presents. We've got some fabulous inspiration for you from the rest of the Design Team, and our Surprise Party Guest, Sherrie K.
I've used up some bits from my stash for my card. 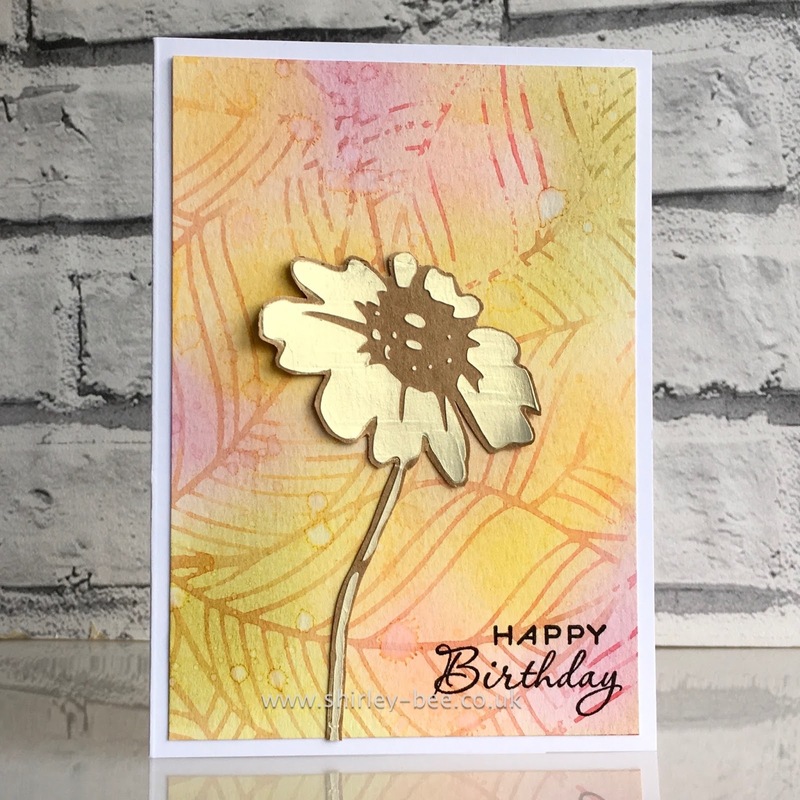 The background piece was a leftover from a stencil mono printing session, and the present was an extra one that I'd cut and coloured when I was making another card, and they just fell together (love that!). The sentiment is from Visible Image. 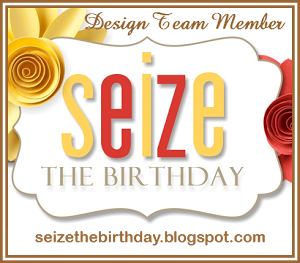 Pop on over to the Seize The Birthday blog to play along. You don't have to use stencils, anything goes as long as it's birthday-themed. 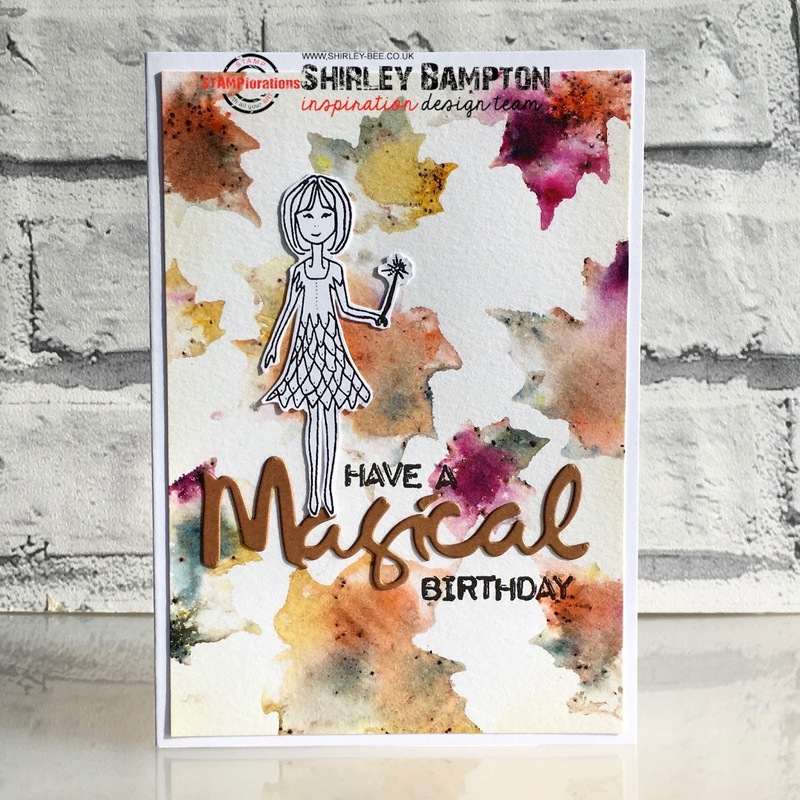 Pop on over to the Seize The Birthday blog for some fabulous inspiration from the Design Team, and our Surprise Party Guest, then play along with us. We've got a mega Giving Thanks hop for you at STAMPlorations, with guest designers galore and loads of ways to win prizes! 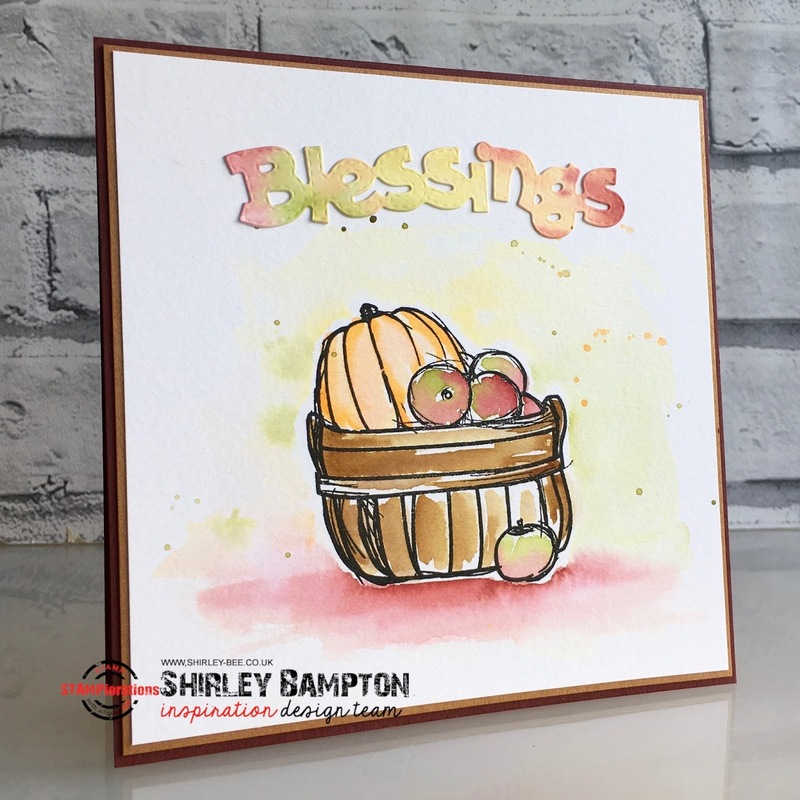 I've got a couple of cards for you using the Many Blessings bundle. 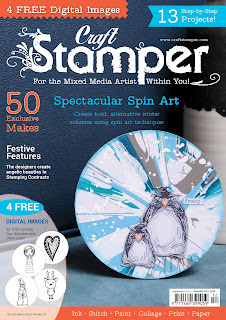 You get a 4x6 stamp set, a die for the main image, a word die for the large sentiment, and a stencil. And there's 35% off from now till 30 November, with free worldwide shipping on orders of at least $25 - that's not hard, is it??? Anyway, back to my cards. The first one uses the image stamp and the word die. This second one uses the image stamp and die, and the sentiments. 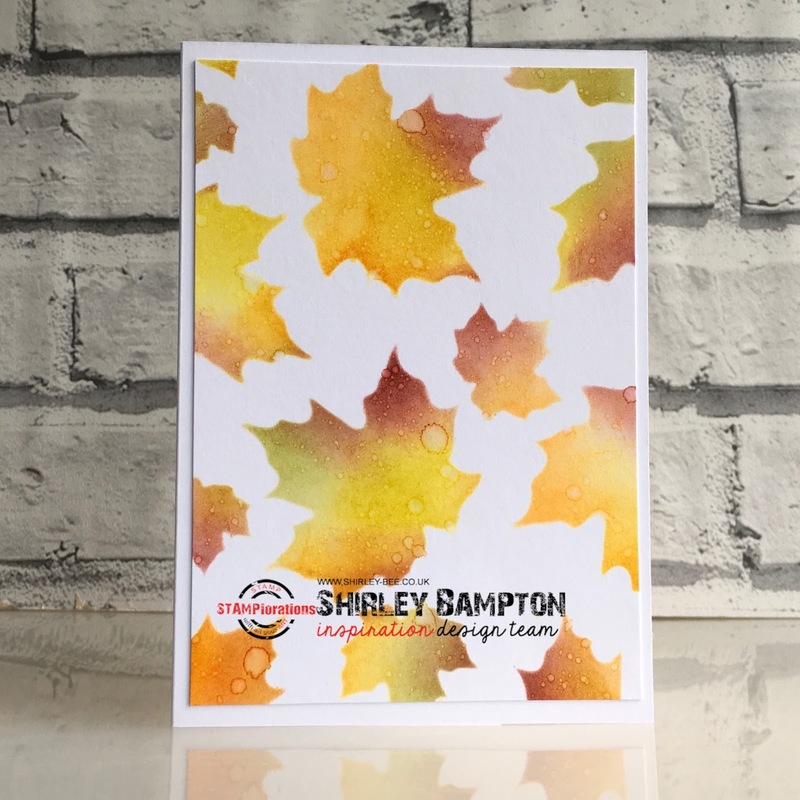 And my third card uses the Autumn Falling stencil. I also made these with the stencil. You can see the detail on my STAMPlorations Spotlight post later today. You should have arrived here from the lovely Anita in France, and you net stop on the hop is Monika Skinner. If you get lost on the hop, here's the starting point. 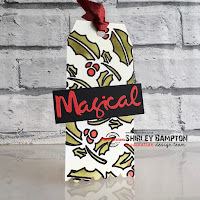 I've been making my own tags again with the ATC Tag Builder Dies set. I used the scalloped top, frilly bottom and circular hole, then dipped it into some Distress Inks. I stamped the image from Warm Hands Warm Hearts set and cut it out with the coordinating die, then coloured it using the same colours as the background and added a sentiment from the same set. 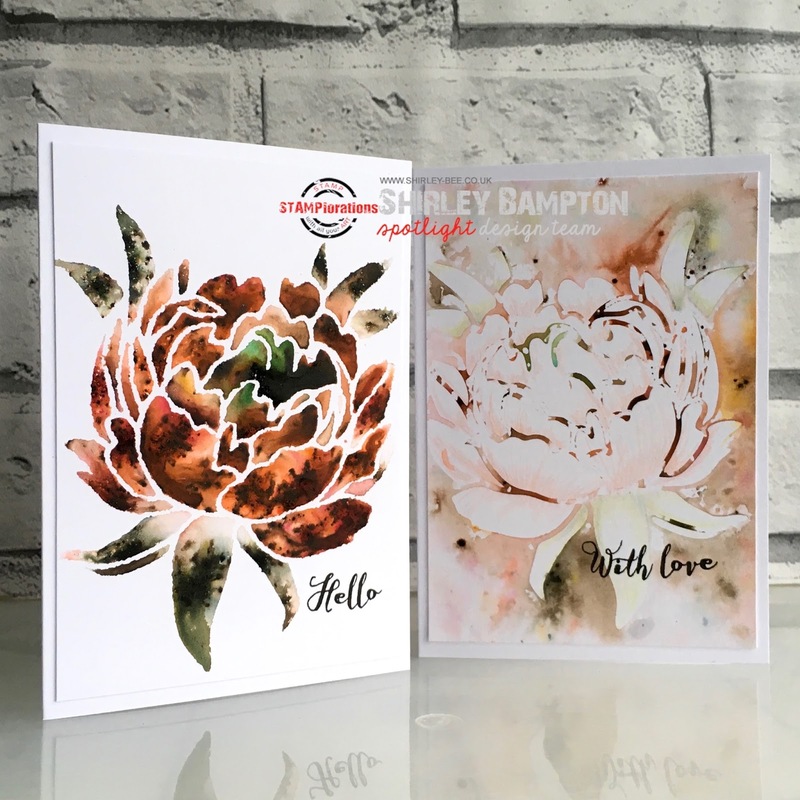 Pop on over to the STAMPlorations blog for some more fabulous inspiration from the rest of the Design Team, and don't forget to leave a comment for your chance to win a $10 gift voucher. 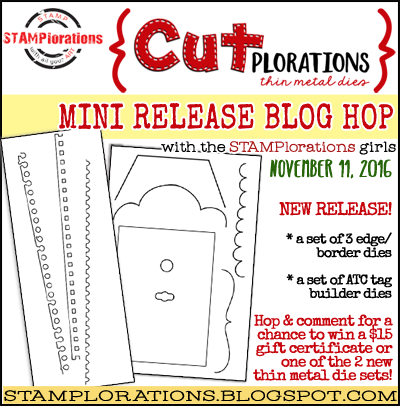 We've got a CUTplorations mini release for you at STAMPlorations today: an ATC Tag Builder set and an Art Edges set. 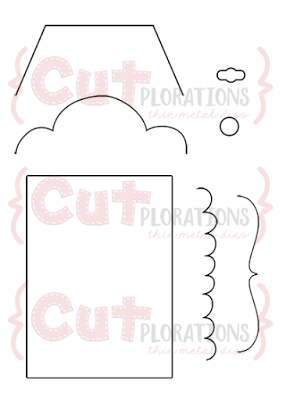 This ATC Tag Builder set is brilliant for making your own tags. 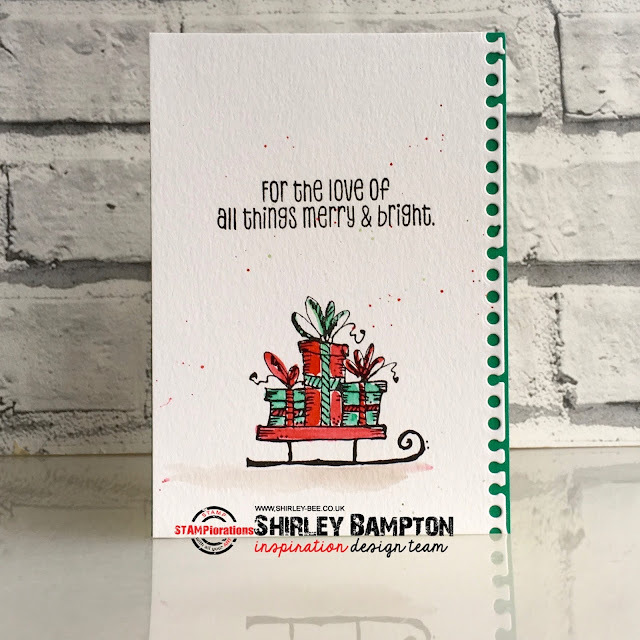 You can start with the ATC die, then cut the top and bottom to your preferred shape, or you can just use a top and a bottom on any length of 2.5 inch card to make a longer tag. 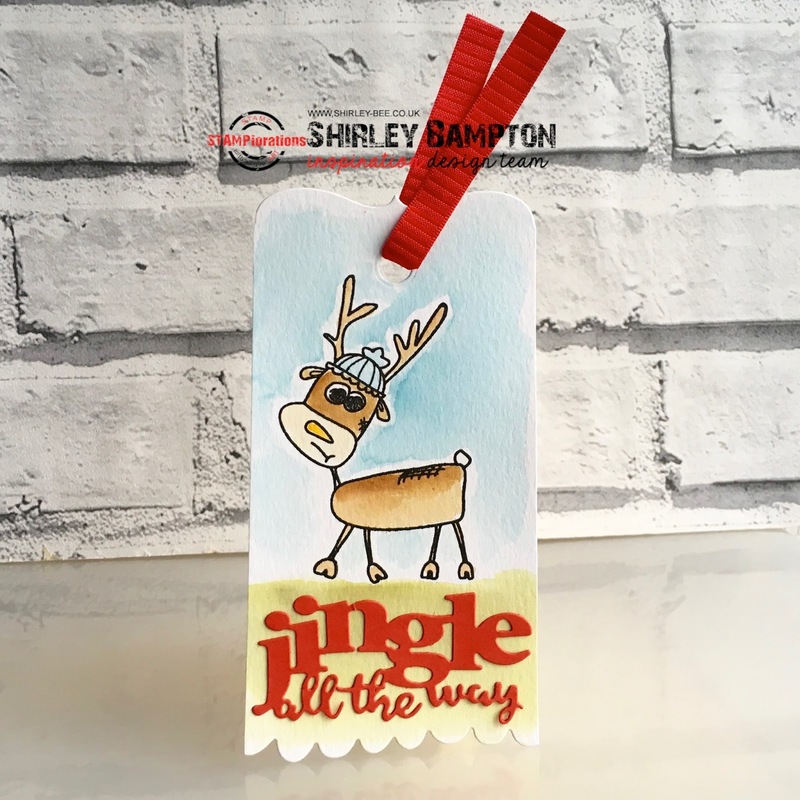 Here's a long tag using the parenthesis top and frilly bottom, and Becca's fabulous deer from the Reindeer Games set, and Jingle All The Way word die. On this one I've used the angled top with the Let It Snow word die topped with Liquid Pearls, and some trees from Oh, Christmas Tree. And here's a card using one of the ages from the Art Edges border set. Love the tattered edge! 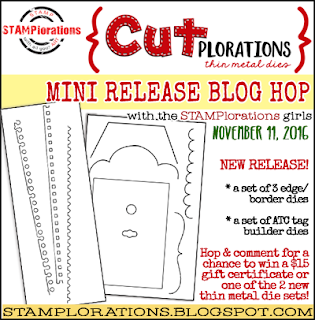 Leave me a comment here, then hop on over to the STAMPlorations blog so you can visit the rest of the girls and leave comments for them for your chance to win a $15 gift certificate or either of these die sets. Winners will be announced on 9 December, so if you follow the STAMPlorations blog, you won't need to go looking for the winner's post, it will come to you! 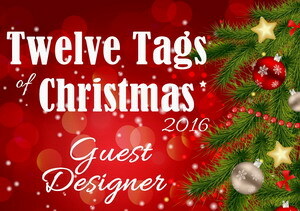 I'm thrilled to be a guest designer again this year for Loll's annual Twelve Tags of Christmas. 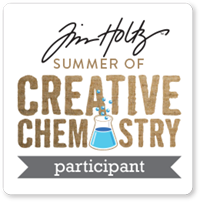 The last two events were chock-full of beautiful mixed media tags, and I'm sure this year will be just as inspiring. I went for non-traditional colours for the background. I sponged Shabby Shutters, Pickled Raspberry and Spiced Marmalade over my tag, then added clear stencil paste through a Tim Holtz stencil. Once that was dry, I sponged more inks over to darken the background and highlight the stencilling, then flicked water over the tag. 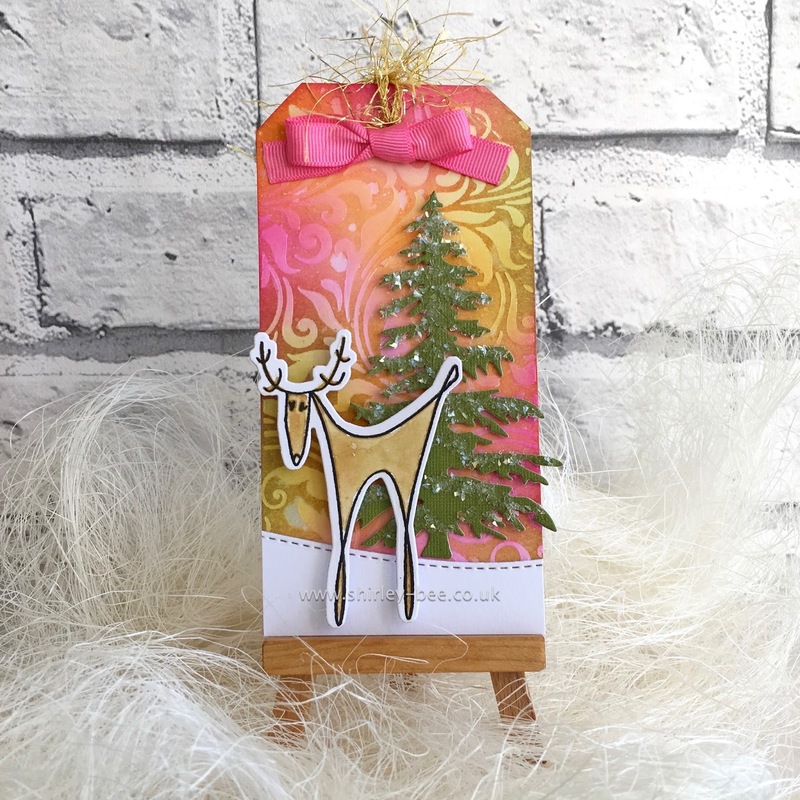 I stamped the large reindeer from The Bee's Knees Christmas Reindeer, watercoloured it with Distress Inks and die-cut it using the coordinating Christmas Reindeer Dies. 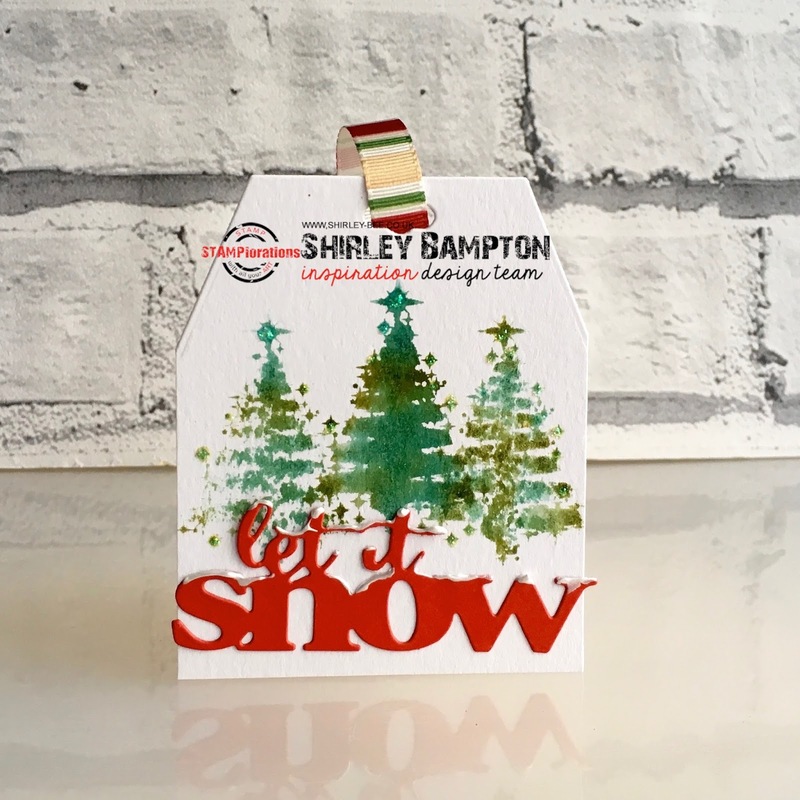 The snow hill was cut using the CUTplorations Stitched Snow Hills die, and the tree is Oregon Fir by The Frantic Stamper, which I covered with Eiskristall glass glitter. The final touch was some gold fibres and a pink grosgrain bow. 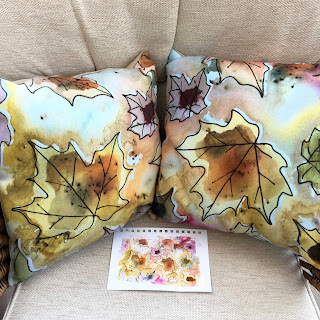 Be sure to visit Loll's blog every day during the event for some fabulous inspiration from Loll and other guest designers. Thanks so much for asking me back, Loll, I'm honoured! 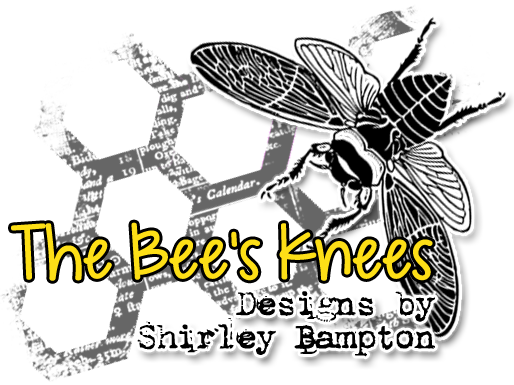 It's Inspiration Tuesday at STAMPlorations, and today I've got a little sneak peek of a new tag builder die set that's being showcased on Friday. 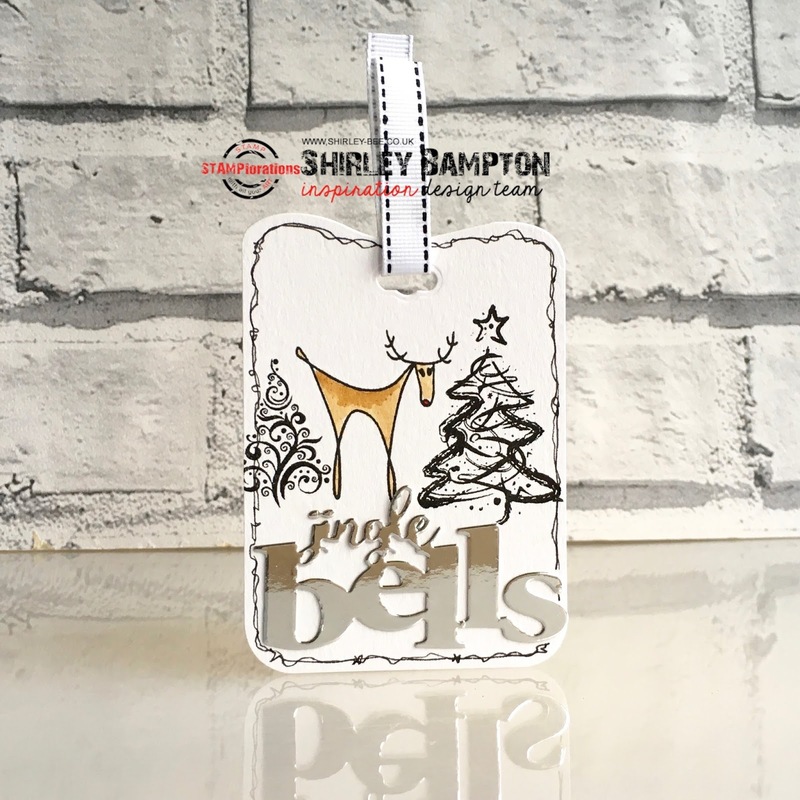 I added the Jingle Bells word die, trees from Oh, Christmas Tree, and my lovely reindeer from Christmas Reindeer, then squiggled a border around the tag. Pop on over to the STAMPlorations blog for some more fabulous inspiration from the team, and don't forget to comment for your chance to win a $10 gift certificate. We've got a new CUTplorations challenge for you today, based on this graphic above. All you have to do to play along is create a project inspired by the graphic, using one or more diecuts (any brand) but you must include STAMPlorations products. If you don't own any STAMPlorations, ARTplorations or CUTplorations goodies, where have you been?? you could always use the free digi available from the never-ending challenge. Anyway, here's my card. See how I got my inspiration? See that background? 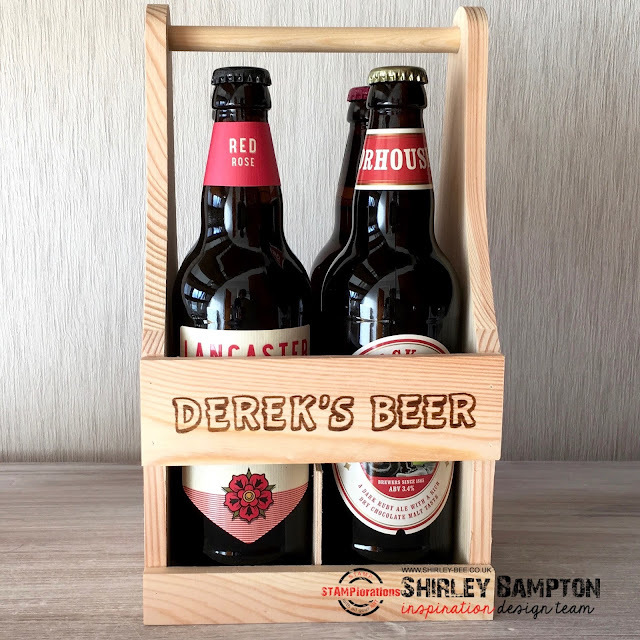 You'll find out how I made this and its counterpart on my Spotlight post over on the STAMPlorations blog on 16 November, and see the products that were made from the design. Curious? I think you'll like them. I've used The Bee's Knees Faerie Door (fairy image), CUTplorations word die Magical, Sentiment Builders: Happy (have a ... birthday), ARTplorations Autumn Leaves stencil. Pop on over to the STAMPlorations blog to see how the rest of the design team have been inspired, and don't forget to join in for your chance to win! Check out the STAMPlorations blog for some more fabulous creations inspired by the graphic, and to play along. 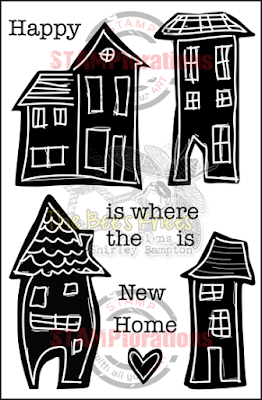 I've used the new ATC Tag Builder Die set to make my own tag. 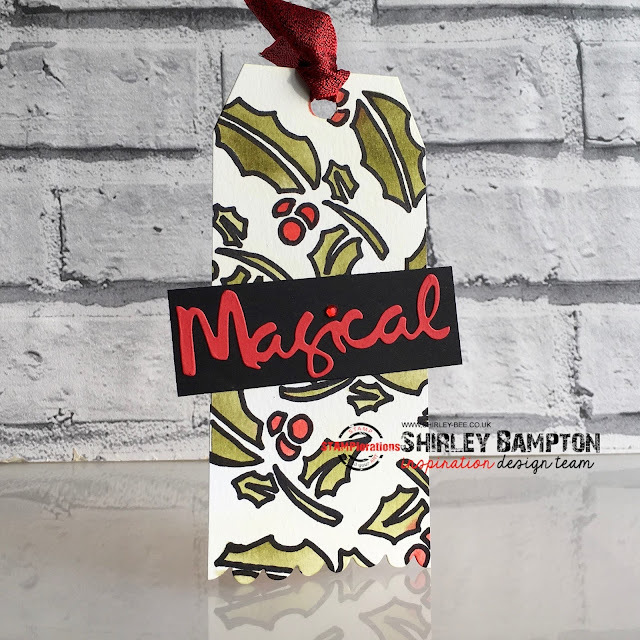 This set is fabulous for customising your tags, with several different edges. Curvy tops, squiggly bottoms, whatever takes your fancy! I sponged Distress Inks through the Holly Background ARTplorations stencil, then drew in the black edges with a Sharpie pen. I cut the Magical Word Die from red and adhered it to a black panel, using a red gem for the 'i' dot. 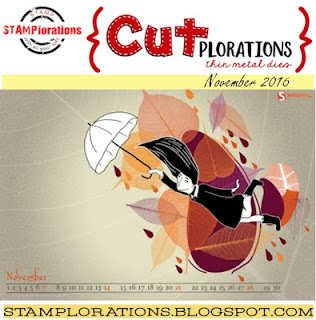 Pop on over to the STAMPlorations blog for some seriously good inspiration. Don't forget to comment, and create a tag, to be in with a chance of winning from this little lot. The linky party is open until 25 November. It's the first Friday of the month, so it's a new challenge at Craft Stamper Take It, Make It. 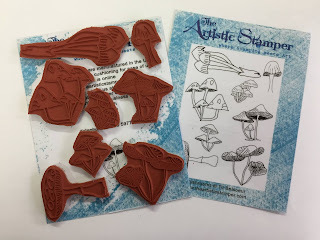 This month it's Take a Stamp - easy peasy! 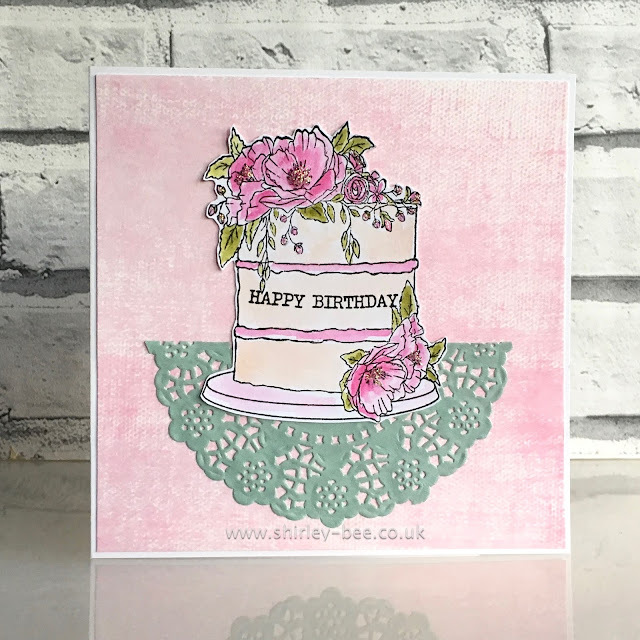 We've got a new challenge for you over at Seize The Birthday, and our optional topping is Stencils. This gold-on-kraft stencilled flower is a rescue from a stencilled panel that's been sitting in my recycling box. 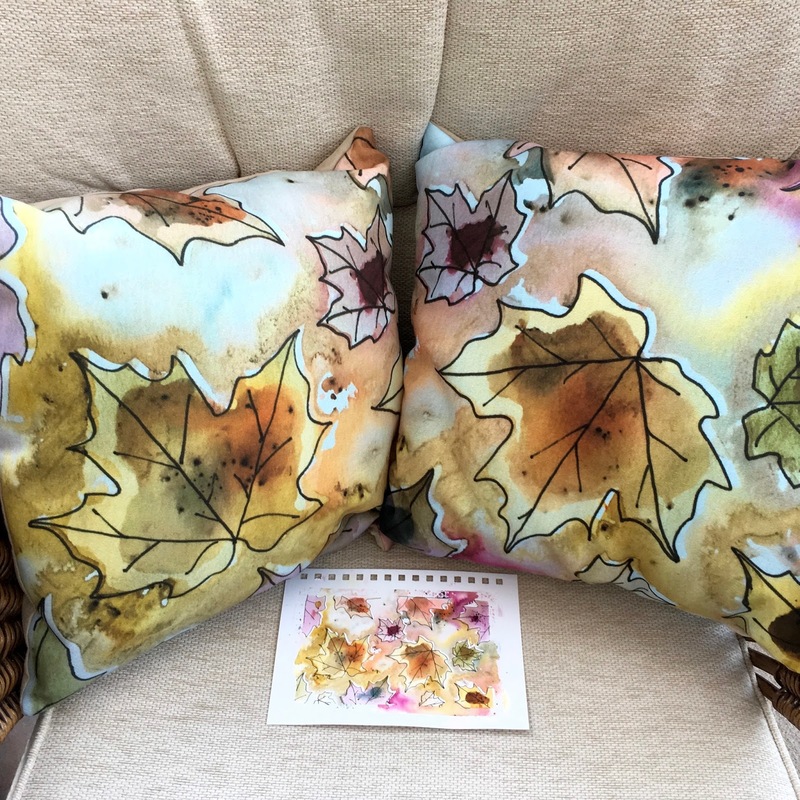 The background is a monoprint mop-up off the back of a stencil, a gift from my lovely bloggy friend Loll. I sponged Distress Inks all over the panel, which enhanced the monoprint image, splashed a little water, then added a sentiment. Pop on over to the Seize The Birthday blog for some more fabulous inspiration from the team, and play along with us. 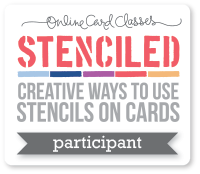 If you don't want to use stencils, anything goes as long as it's a birthday project. And I'm over at STAMPlorations tonight sharing how I created three sets of cards in different colour ways with the Peony Number One stencil. Pop on over for a closer look! Time for some STAMPlorations inspiration. 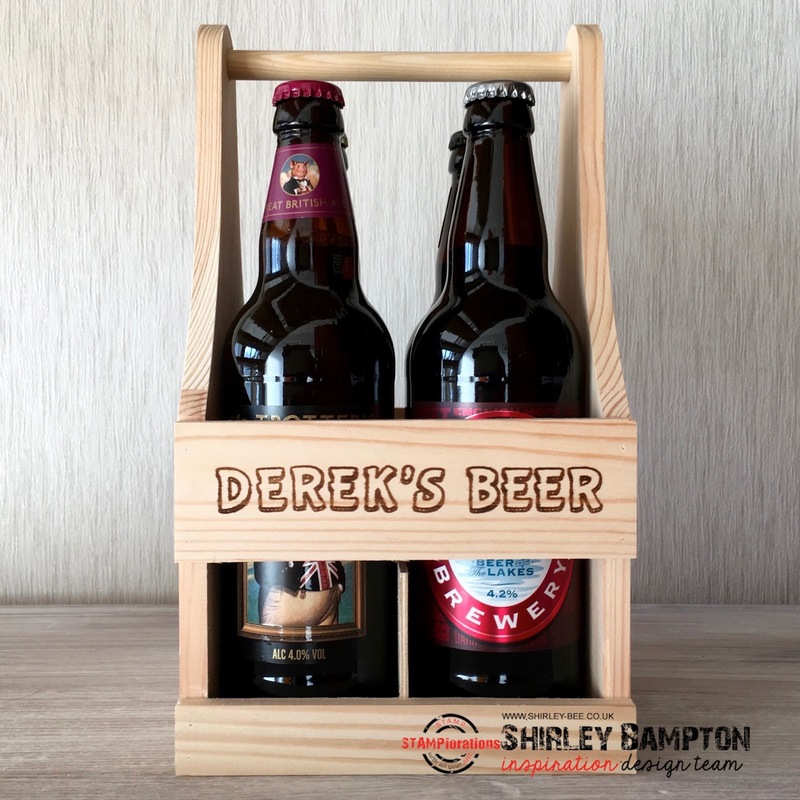 I've been customising things, in particular this bottle carrier that I bought on Etsy as part of a friend's birthday present. I used the Sketchy Alphabet stamp set, and after a bit of trial and error (on scrap paper!) I got the stamps lined up on a long acrylic block, with gaps for the missing Es and Rs, then stamped in the gaps. 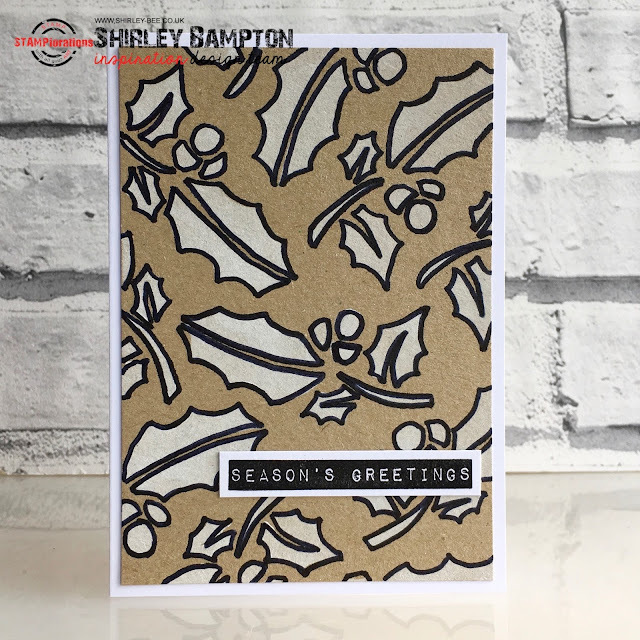 Pop on over to the STAMPlorations blog for some more fabulous inspiration from the Design Team. 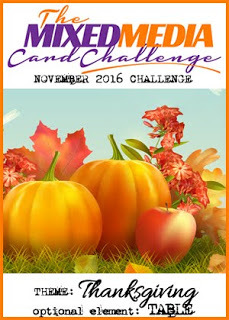 Don't forget to leave a comment for your chance to win a $10 gift certificate. 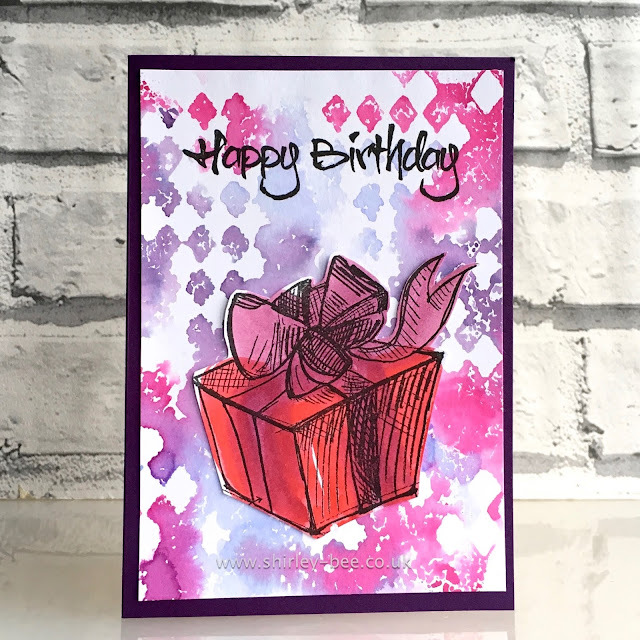 It's a new month and a new theme at The Mixed Media Card Challenge. This month our theme is 'Thanksgiving' with an optional element of 'table'. My card panel started life as the mop-up of spritzed Distress Ink from the ARTplorations leaf stencil, but it was a bit too wishy-washy so I laid the stencil back over the card panel then stencilled Cosmic Shimmer Gold Pearl Texture Paste through, and once that was dry I sponged more Distress Inks in the gaps. Gave it several flicks of water, then once it was all dry added some Glossy Accents. The hint of colour on some of the gold leaves is from watered-down Inka Gold paste in red and green. I used one of the new CUTplorations word dies, cutting it once in maroon and once in white to use as a drop-shadow. 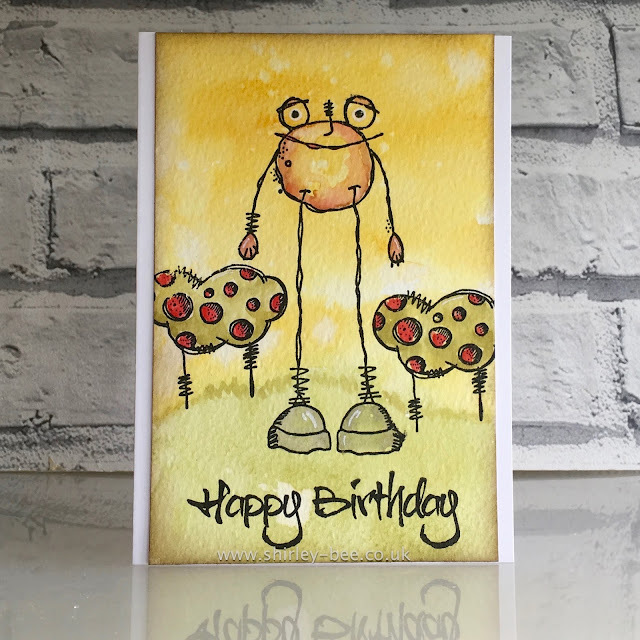 Pop on over to the Mixed Media Card Challenge blog for some more fabulous inspiration, and play along with us.